A police show which featured Borderick Crawford as Captain Dan Matthews. For an officer of his rank, he spent a lot of time in patrol car barking “10-4 10-4.” Highway Patrol had a great appeal for young guys as it had great car chases. 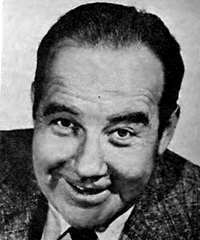 Broderick Crawford died in 1986. TV Guide’s Highway Patrol Page, with TV Listings, Photos, Videos, Exclusive News and More.